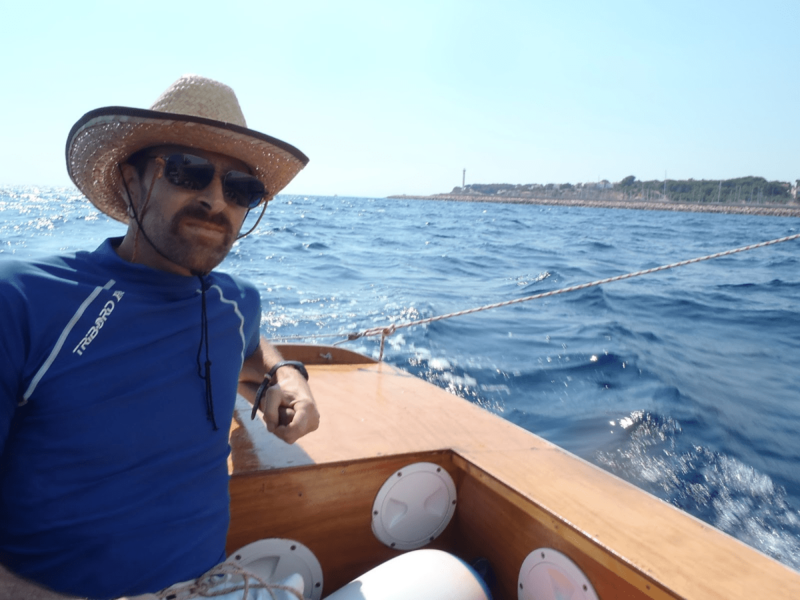 Theinvisibleworkshop weblogger, writer and small boat sailor Ben Crawshaw has been sailing the sailing version of the Ella skiff off the coast of Catalonia – and I am delighted by the review he has posted. The boat’s builders call the boat El•la – a point that won’t be lost on my own daughter, who is named Ella. Read Ben’s piece at Theinvisibleworkshop here. 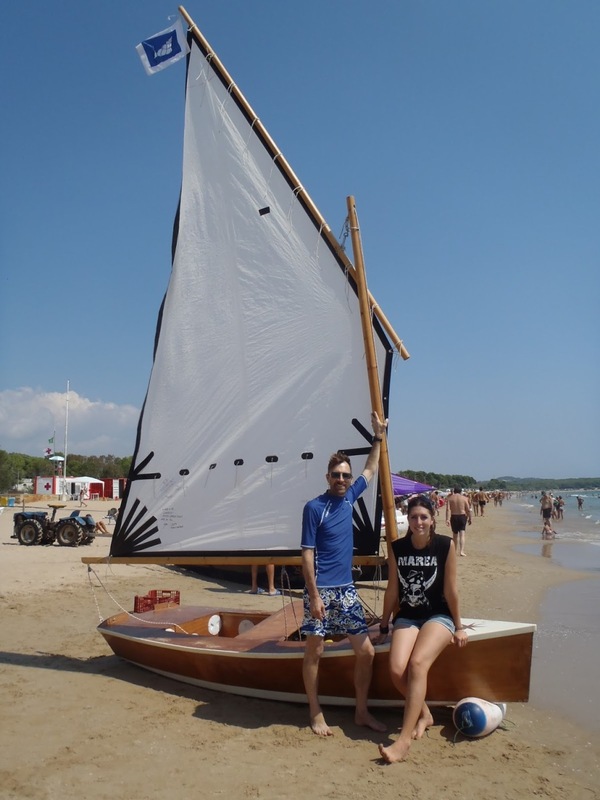 I’m delighted that he was able enjoy such a nice day of sailing with his daughter Yoeh, and I’m thrilled that my simple little boat designed lived up to his expectations. Yes, here’s a set of boat plans that are free and which produce a little boat that works as I’d planned and hoped. 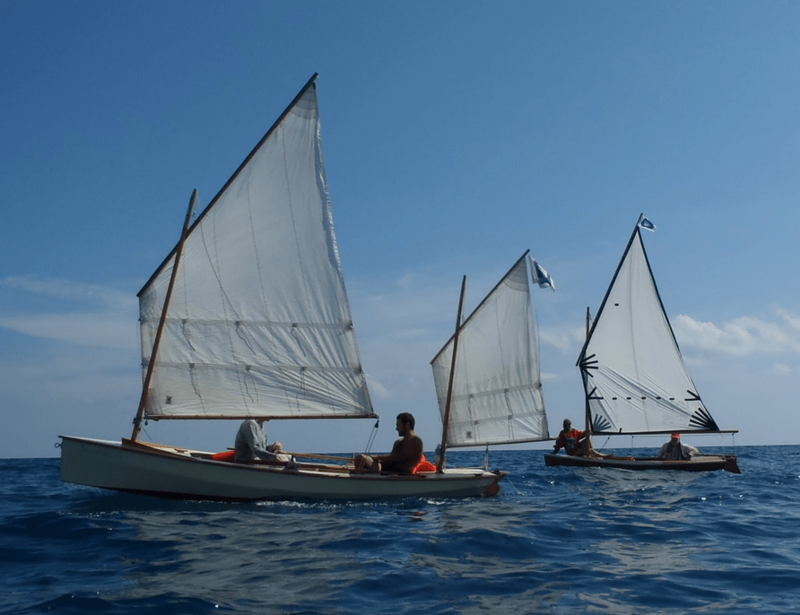 ‘… I turned to wave to a small send-off party then re-trimmed the sail to go broad and tootle along just 200 metres off the shore… Ella was already well into her stride as we were still sorting out our seating arrangements. 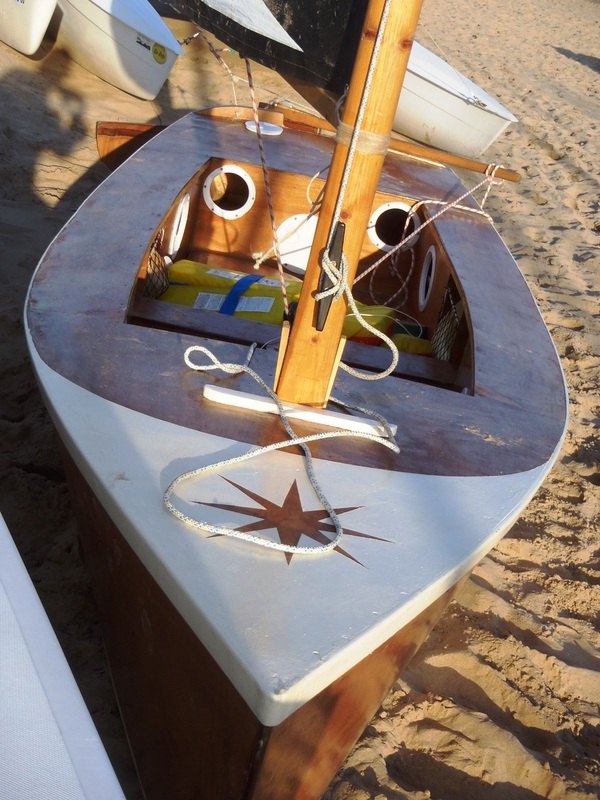 ‘The boat had already shown herself to be well balanced, with a light tiller and a touch of weather helm but I was impressed at how high she pointed to windward. She was wet, though, with the moderate breeze and chop and would have liked a reef. I tacked carefully and she came round well… Sailing dead down wind with the daggerboard raised Ella became unstable and ached to gybe but by lowering the board a tad and turning slightly to windward she regained posture. Many thanks for the report Ben! 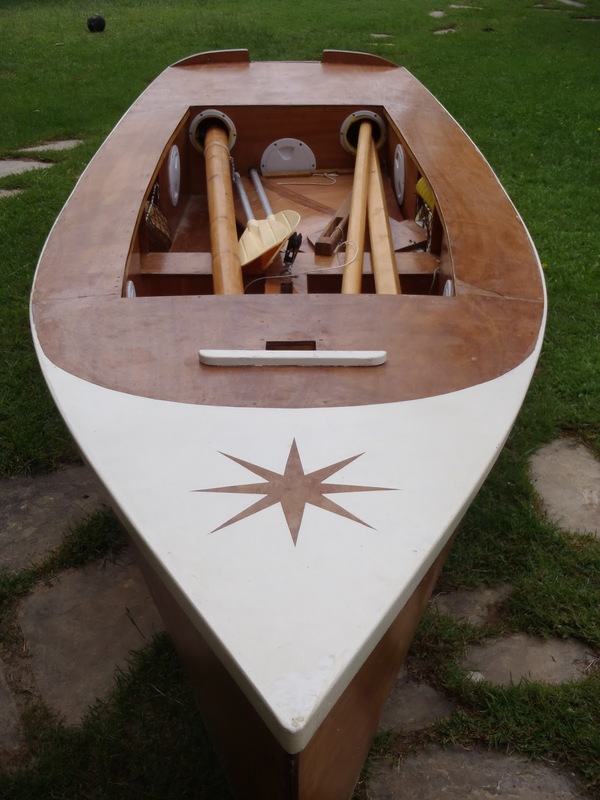 Plans for the Ella skiff – both the rowing and the sailing version with a snug standing lug rig – are available from the plans page here at intheboatshed.net. 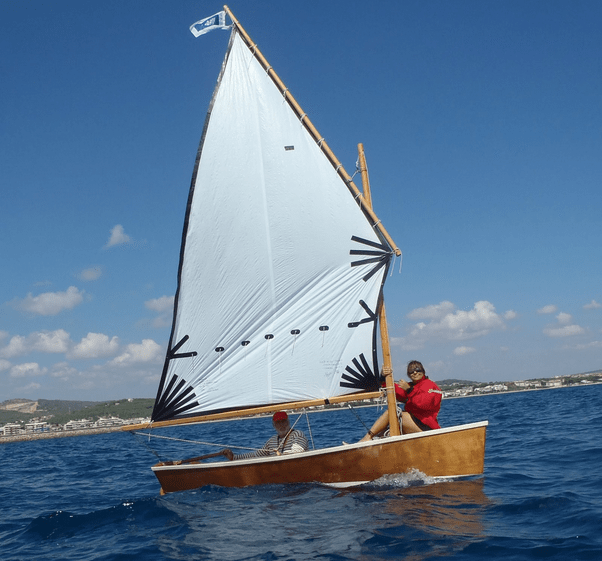 PS – Since this post first went up, Ben has put up two more posts about the Catalonian Ella skiff, one showing details of the boat as built (I very much like the scheme for stowing spars by the way), and another about a day when the El•la and Ben’s Light Trow Onawind Blue were unexpectedly able to sail in company. This one includes some wonderful photos, including the two shots I’ve pasted below. Please take a moment to see Ben’s posts, and leave a comment: Ella details and Goodbye to Ella. Hi again. You can join our FB page “Veler El La” https://www.facebook.com/tu.mateix.18?fref=ts. 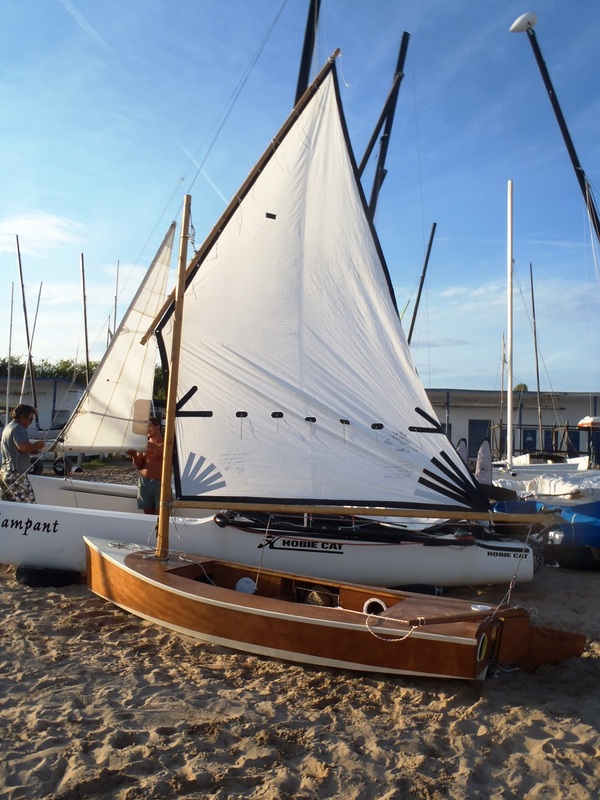 We are posting there some sailing reports and pictures. Regards.